Long gone are the days of buying an iPhone case just to keep your device safe from harm. These days, people buy phone cases for many different reasons. 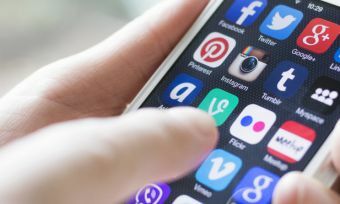 They want a fashion accessory, a wallet, a Swiss-army knife (no, really, look them up) and a clever or funny design to stand out from the crowd. Of course, it’s easy to get overwhelmed by all the options available to you. If you’re on the hunt for a new case yet unsure where to start, check out these amazing iPhone case designs to spark your imagination, listed in no particular order. You all are incredible! Our Black Friday + Cyber Monday deals are keeping us busy at the shop and we appreciate everyone who took advantage of our biggest sale of the year. We’re working hard to get everything shipped out as soon as possible! Just a friendly reminder that pre-orders for batch #2 of our field and hunting knives are still available! Act fast, though: carved.com/knife (or link in bio). Carved specialise in making solid wood cases for iPhones and other mobile devices. Featuring a gorgeous matte charcoal finish, each case offers a unique sleek, subtle, and sophisticated look that’s truly one of a kind. Each case is made from sustainably sourced materials which makes them eco-friendly and 100% guilt-free. Aside from the beautiful woodgrain, you can choose from a range of laser-engraved designs to make your case truly stand out. From picturesque landscapes and abstract designs to life-like textures – you’re bound to find a perfect match. Let’s keep it going for Cyber Monday: 40% off sitewide all day long! Link in bio to shop. Don’t want to spend a fortune on a quality case? Look no further than the Incipio NGP. This durable case features a shock absorbing Flex20™ polymer shell, which provides outstanding shock protection without stretching, fading or tearing over time. Plus, the case has a no-slip grip and fits snugly around your phone to protect all edges. And if you’re not into flashy artwork then you’ll love the simple black design. Snow globes are very pretty. Give them a good shake, and a whirlwind of tiny snowflakes cascade around the globe in a dizzy haze. Imagine if you could enjoy this trance-inducing effect wherever you go? Now you can with the Case-Mate Waterfall. Similar to a snow globe, the Waterfall case is full of tiny pieces of glitter and metal balls that tumble with every shake, twist and turn. Of course, the case is more than just a pretty face. It’s tough enough to withstand a 10-foot drop. It has flexible sides for extra grip. And refined metallic buttons for enhanced protection. Society 6 is not your average online phone case store. How so? For starters, the entire design range comes from hundreds of thousands of artists from around the world. Secondly, each artist keeps all the rights to their artwork and they earn a profit from every sale. Cool, huh? 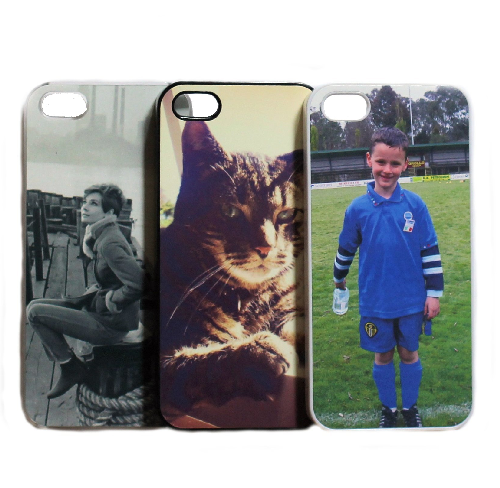 Oh, and the iPhone case designs are amazing. From a retro cassette mix tape to a slogan that says, ‘I hate you the least’ and a grizzly bear waving to you, there is a massive range of funny, creative and sassy designs to suit your personal taste. More and more people are ditching their traditional wallets in favour of a lightweight, multifunction phone wallet. If you’re ready to jump ship then you’ll love the WenBelle iPhone case. 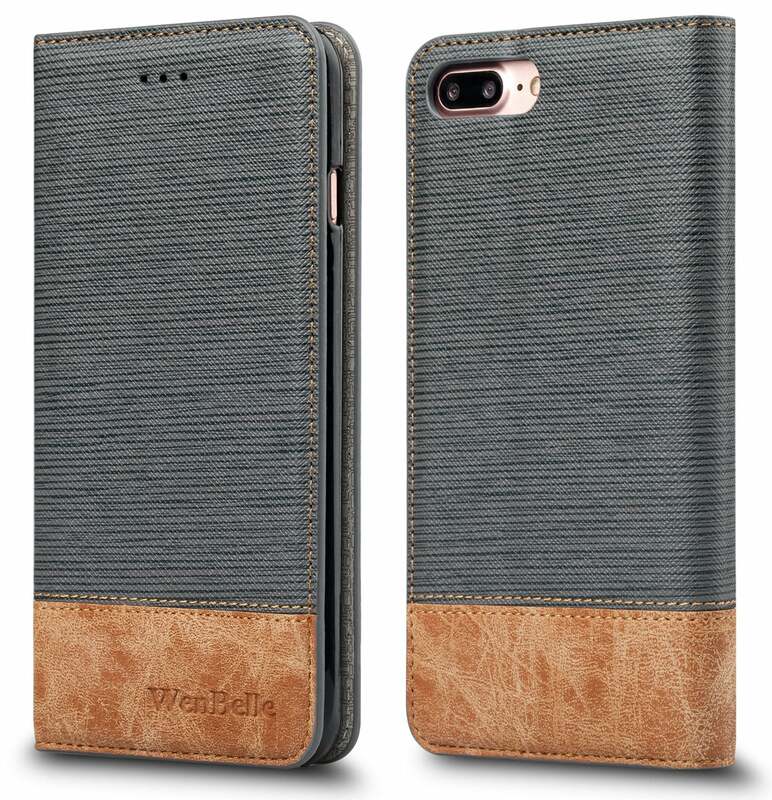 The WenBelle case includes 3 card holders and a currency pocket in one sleek, simple and convenient case. Made from quality handcrafted PU leather, the case features accented stitching and subtle black/brown tones to establish a smart, casual look. Plus, the case is highly durable with an inner-shell that absorbs high impacts. Since 2011, Casetify (formerly Casetagram) has been at the forefront of custom designed iPhone case and other tech accessories. With self-expression at the core of the company’s focus, the online store boasts some of the funniest, creative and daring designs you’ll ever see. From skateboarding polar bears, to a Beyonce look-alike giving the middle finger and the words ‘Girl Power’ written in bold, Casetify earns a lot of brownie points for fun and creativity. Oh, and in the company’s own words their cases are, ‘… built to be dropped.’ So they have you fully covered for drop protection. Forget about pre-made designs. Why not upload your own image and personalise it to your hearts content? Now you can. Whether you want a photo of your beloved dog to grace the cover of your iPhone, a humorous quote, or something completely out of this world, you can do it here. The easy-to-use online editor offers a range of design tools, visual effects, and text options to give your custom design a personal touch. In fact, the editor even tells you if the image is too blurry or it needs to be re-orientated – very clever. If you want an iPhone case that’s slim, lightweight, and bound to keep a grip on your hand, then the Speck Presidio Grip has you covered. This durable case has two layers of protection against drops of up to 10 feet: a one-piece polycarbonate outer shell, and the shock-absorbing IMPACTIUM™ Shock Barrier. Better still, the textured grooves provide extra grip, and the raised bezel edges protect the screen from impact. And with a lifetime guarantee you can rest assured this case will provide years of peace of mind. Fancy graphics are great. But it’s easy to forget the classic iPhone design is pretty great too. 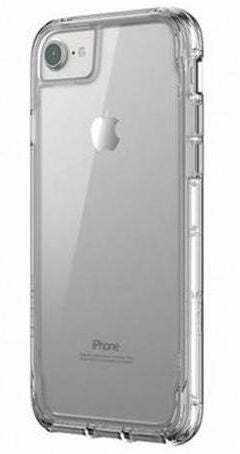 So, if you want to protect your phone – without losing the iconic Apple design – then the Survivor Clear is for you. The Survivor case is super-thin, lightweight and tough enough to resist a 1.2 meter drop. With an outer shell that is 6H-hardness rated and scratch resistant, it can easily withstand the everyday risks and general wear and tear. And the high-gloss case brushes aware dirt and grease with ease. According to Business Insider, the average user upgrades their phone every 22 months. On top of this, the amount of electronic waste has risen by 8% in the past two years alone, as reported by The Telegraph. That’s why American company Reveal has made it their mission to create earth-friendly electronic accessories. Their unique range of iPhone cases is made from natural and sustainable cork. The material is soft to touch, highly durable, and comes in a range of creative designs. And with every case you buy the company plants a tree in an endangered forest. What could be better than that?